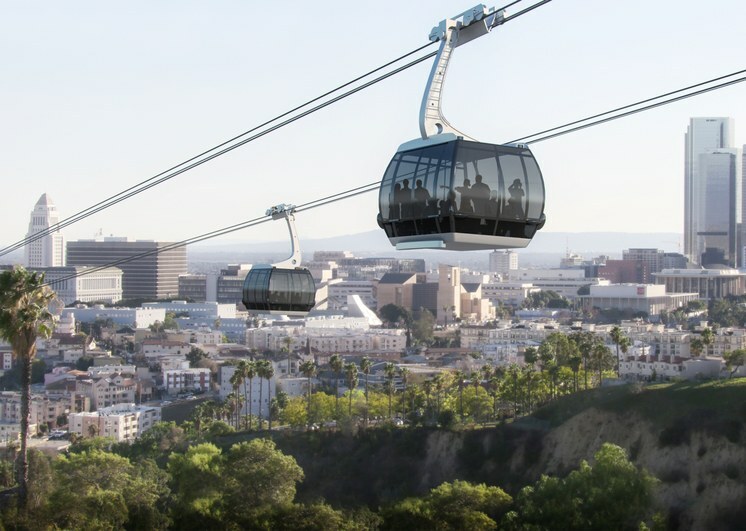 Could an aerial tram solve Dodger traffic jams? 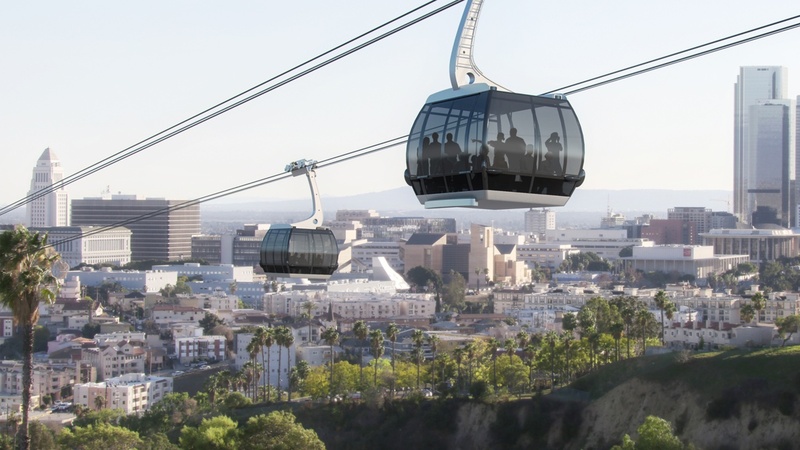 A group called Aerial Rapid Transit Technologies has approached LA Metro with an unsolicited proposal to build a $125 million gondola to ferry 5,000 fans an hour between Union Station and Dodger Stadium. Drew McCourt, who is the son of former Dodgers owner Frank McCourt, is behind the company that wants to build and operate the gondola. Of course, Angelenos are still apprehensive of anything with Frank McCourt’s name on it, so already that could be an obstacle. But the company has a person of sterling reputation also attached: Martha Welborne, who until recently was Metro's chief planning officer. This came about as an unsolicited proposal for Metro’s Office of Extraordinary Innovation. LA Mayor Eric Garcetti presented it himself at last week’s Metro board meeting. 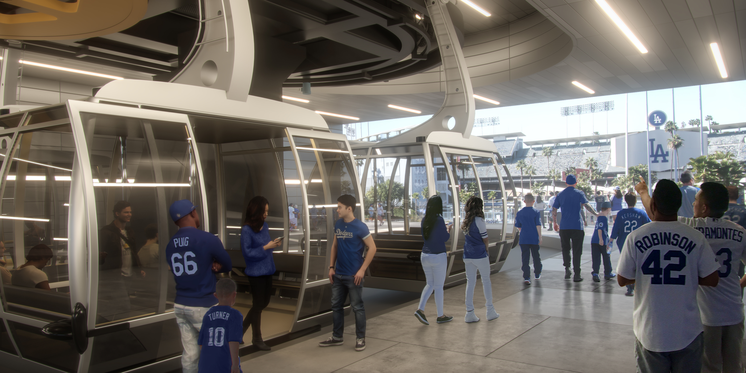 Metro says it won't just be Dodgers fans riding the gondola. Tourists or couples on a romantic night out might want an aerial view of the city. But its selling point is getting baseball fans off that congested stretch of Sunset Boulevard between Chavez Ravine and downtown. The architectural firm Johnson Fain is working on mapping out the route to figure out where all the infrastructure and stations will land, and how to connect it to existing transit systems. The firm’s principal, Bill Fain, says the trip could be a destination in itself, giving visitors a sort of history lesson in LA’s development. But there are some engineering challenges to contend with. The tram would cross over Chinatown and the 110 freeway. And one of the goals for the company behind this will be to keep the route as much as possible over public rights of way, so they don’t have to contend with buying air rights or opposition from residents. An aerial tram has been proposed for taking tourists to the Hollywood Sign, but it hasn’t gotten off the ground yet. It would need to go through a review process and there are a lot of residents that would be underneath. Also, it needs an investor. The Dodger Stadium gondola already has one. Aerial trams are generally used in the US for skiing access (like the Squaw Valley aerial tram at Lake Tahoe) or sightseeing, like in Palm Springs. But there are some that move people through cities, like New York’s Roosevelt Island tram and the Portland Aerial Tram. But you can find aerial trams all over the world, from Mexico City to Bogota to Lebanon to Hong Kong to Turkey to Bolivia to Sweden. The Dodger gondola still needs an environmental impact report and Metro’s approval. Supporters say they hope to have it running by the start of the baseball season in 2022, so it’ll be ready for the 2028 Olympics. No word yet on what it would cost to ride the gondola, but they say it’ll be less than the $20 or so it costs to park at the stadium -- parking lots that are part-owned by Frank McCourt.